Employee expense reports can be time-consuming, confusing and filled with errors. As a small business owner, you want to trust your staff when they must use a company credit card, but trying to control what they spend when they are using company money can be frustrating. This is why a reloadable business card is a good option, but you want to be sure you choose the best refillable prepaid card. Too often, prepaid cards are not insured. Some of the best reloadable prepaid cards are insured by the FDIC for up to $250,000. 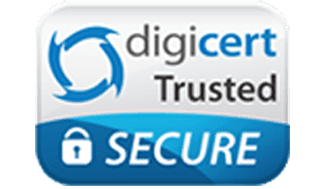 In addition, the best prepaid reloadable cards use SSL encryption, making them safe to use no matter where your employees are traveling. Bento for Business Visa debit cards may be a great alternative to reloadable prepaid cards because of their 60-day free trial which allows you to see, first hand, all the benefits of the of the card. Sign up is simple and takes less than 60-seconds. What other reasons are there for choosing Bento for Business? There is a growing trend for small businesses to use business debit cards rather than credit cards or prepaid debit cards. Bento for Business offers the best business Visa debit cards because it allows you to set daily, weekly or monthly spending limits on each card as well as limiting where the card can be used. If you have delivery drivers, for example, you can limit the card to be used at a gas pump and not for purchases inside the store. Because the best prepaid reloadable card has the Visa logo, it can be used wherever Visa is accepted around the world. However, another benefit to choosing business Visa debit cards from Bento for Business is when you are traveling, you can use the mobile app to review employee expenses. Bento cards also can help you move towards eliminating reimbursement forms. If you have a question, the Frequently Asked Question page on the website is available at all times, or you can reach their friendly support staff 24/7 for more information. Using the best prepaid cards allow you to recognize and prevent employee fraud or theft much more quickly than through traditional expense reports. When using a business debit card if an employee leaves the company, you can remove them and add a replacement quickly through the website or the app. You can also adjust spending limits and reload the card 24/7. The best reloadable cards also have lower fees than traditional credit cards, providing you with an additional savings. Many regular credit cards are designed for large businesses, making them too expensive for small companies like yours. 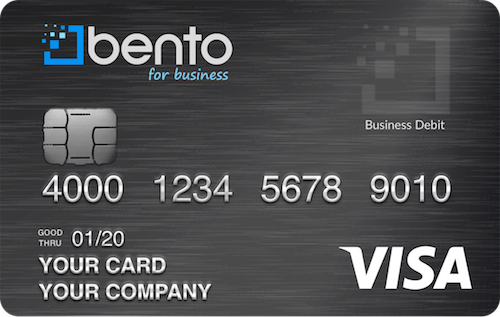 With Bento for Business, you not only get strong customer support, but a business debit card that lets you take control of your company expenses at a lower cost than with traditional credit cards. If you need to get better control of your employee expenses, you need the best business Visa debit cards from Bento for Business. Contact us today by calling 866-220-8455 or fill out the easy form online. You request a demo to see how Bento for Business can help your company, saving you money and controlling your employee spending with just a few clicks on your phone or computer. Contact us today to see how these cards can help.